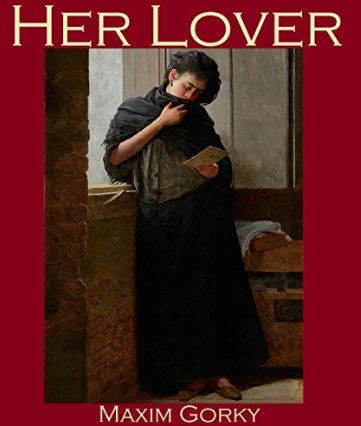 The short story "Her Lover" was written by the famous Russian-Soviet writer Maxim Gorky. The narrator told the author about the time when he was a student in Moscow. 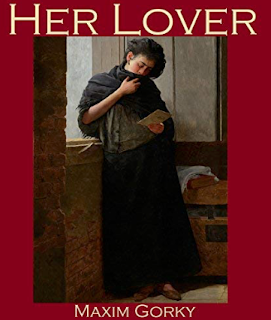 He lived alongside a neighbor, a lady called Teresa. The narrator described her as "a tallish, powerfully-built brunette, with black, bushy eyebrows and a large coarse face as if carved out by a hatchet." The narrator characterized her reputation as questionable. He avoided meeting her on the staircase. When they randomly met in the yard, she would smile which seemed to the narrator as sly and cynical. One morning, Teresa asked for a favor- to write a letter for her acquaintance who lived in her homecountry- Poland. "My dear Boles ... my darling", she started to dictate. She finished her letter with the phrase "your sorrowing little dove, Teresa". The narrator nearly burst out laughing, hearing this from the woman who was more than five feet high. He asked, "Who is this Boles?". "My young man. ", she answered. "Young man?!". "Why are you so surprised, sir? Cannot I, a girl, have a young man?". Next time, Teresa asked the narrator to write a letter again. "To Boles?” he asked. "No, this time it is from him." "Wha-at? ", the narrator exclaimed. The narrator understood at last. Alongside him lived "a human creature who had nobody in the world to treat her kindly, affectionately, and this human being had invented a friend for herself!". Since that time, the narrator wrote a letter to Boles twice a week, and an answer from Boles to Teresa. - overcoming a prejudice which divides the society leads to a new level of understanding people. As a Master of literature, Gorky's work represented the universal idea of struggling people because of indifference, lack of self-sufficiency, prejudice, callousness, superiority complex and so on. If we looked around, we can see under cruel appearance a tender, sentimental soul of individuals like Teresa. This idea of humanism according to Maxim Gorky leads society to a peaceful and happy life.